Like most of us, one of the favorite parts of Tyesha’s day is when she gets to head home after work. When her day is wrapped up, she looks forward to having Metro get her home safely, while she can relax, reflect and make plans for her evening. To start her commute home, Tyesha boards the #17 Oakville MetroBus route near her work and rides to the Shrewsbury-Lansdowne I-44 MetroLink Station. From there, she rides the train to the Emerson Park MetroLink Station, where it’s just a short walk the rest of the way home. Tyesha is happy to be able to leave the driving to Metro. 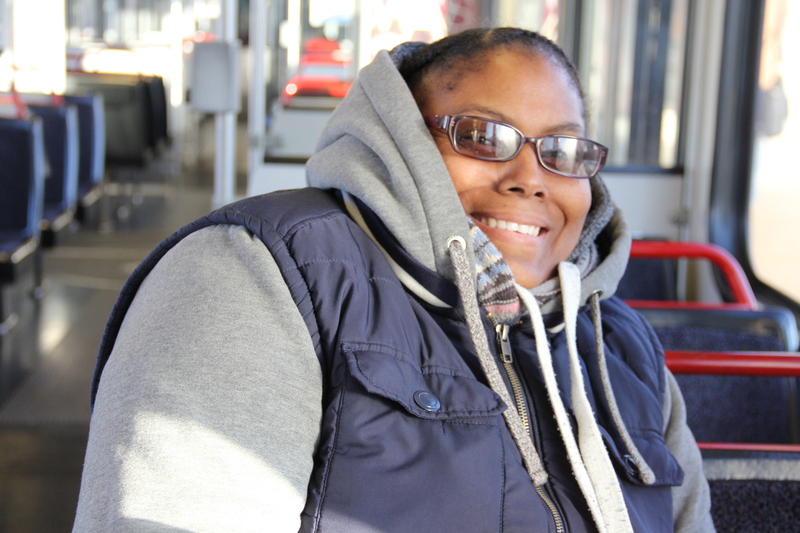 Tyesha enjoys listening to music on her ride home, and her favorite spot to sit is near the window. “I get to see the river every day, the Gateway Arch — so many different sights to see,” she said.